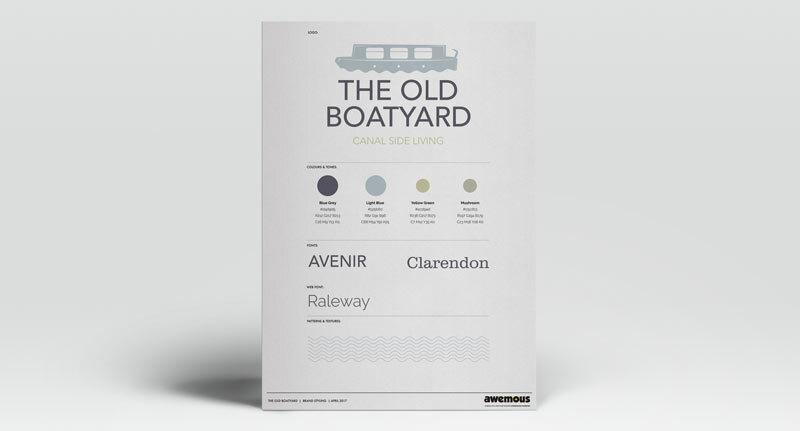 The Old Boatyard is an Arcadia housing development and the team needed to start marketing before the ink had dried on the plans. With little to go on and lots of possible changes in the course of the development we recommended one of our Micro-Branding packages that would give the team the basics that they need to start marketing the homes without blowing the budget. We create a simple illustration and logo along with a calm colour scheme and simple pattern device that is used to tie the look together. As an addition to the Micro-Branding package we also created a simple single page website with a sign up form that can be easily expanded as the development progresses.